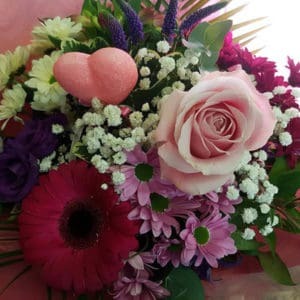 Hand tied bouquet in pinks & purples, available in regular, medium and large sizes. Floral cross on a twig base. Floral cross with mixed flower decoration.